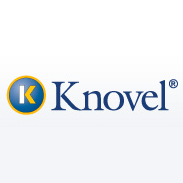 Knovel, the leading provider of a Web-based application integrating technical information with analytical and search tools, today announced the addition of two senior executives to its management team – Lou Desiderio as Chief Financial Officer and Steve Dunn as Senior Vice President of Global Sales at Knovel. 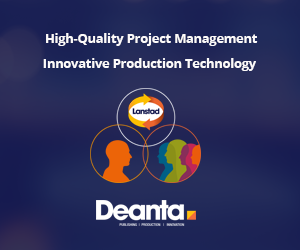 Collectively adding more than 45 years of experience to the management team, both executives will provide strategic guidance as the company accelerates growth internationally and continues to evolve its product to ensure engineers find answers to technical questions fast. Joining as Knovel’s Chief Financial Officer, Lou Desiderio brings 25 years of financial and operations expertise. Prior to joining Knovel, Desiderio held senior finance roles at several public and private companies in the technology and professional services industries. Desiderio has extensive experience in strategic planning and business development, raising capital, and advising on mergers and acquisitions. As Senior Vice President of Global Sales, Steve Dunn will use his 20-plus years of experience building global sales organizations in both private and public software companies to drive Knovel’s worldwide sales and meet targets for revenue growth and customer retention. Prior to joining Knovel, Dunn was Dyadem Corporation’s Vice President of International Sales and Global Alliances, where revenue doubled in the past two years leading to a 2011 acquisition. Previously, Dunn was a company officer at MatrixOne and Workgroup Technology. Dunn was a key contributor to each company’s rapid revenue growth enabling an IPO for both.